As one of our most dynamic and insightful consultants, Louise has a strong reputation for her practical approach to achieving operational, behavioural and cultural outcomes that outlast the life of the project. Having previously held various HR and leadership positions within Australian blue chip organisations, Louise became a founding partner of Learning Dimensions Network, the parent company of Leadership Dimensions, 19 years ago. As an experienced designer and developer of interventions that align with organisational goals, Louise holds qualifications in both organisational behaviour and business management. Known as the ‘Trainer of Trainers’, Louise regularly receives feedback such as ‘simply the best facilitator I have met’, as commented by a Director of Safety and HR for a large construction company. Paul has 25 years of operational and management consulting experience in both the public and private sectors, during which time he has worked with and provided management advisory and capacity development services to a wide range of industry groups throughout Australia and internationally – with this encompassing a number of major government, infrastructure, transport, and oil & gas projects. Adopting an evidence based behavioural science approach, Paul actively integrates the principles of organisational psychology and risk management to facilitate sustainable cultural change and capacity development that is supported by, and actively aligned with, wider management and operational frameworks – thereby facilitating health & safety management as being truly “business as usual”. Employing this approach, Paul has provided need assessment, management system auditing, issue research/analysis, and organisational change and capacity development services to a number of organisations, developing bespoke management and training frameworks/programs and solutions, and integrating the same with existing systems – actively incorporating operational needs and statutory requirements with strategic goals and business objectives. Paul also has extensive experience in project risk governance, workshop facilitation, and the development and provision of specialised training packages in OHS, risk management, operational safety/defensive tactics and emergency management. Bruce is a highly competent and often requested facilitator, with over 27 years of experience in the fields of safety leadership and education. His engaging and dynamic facilitation style generates results across all levels of organisations. Bruce has a strong focus on risk assessment, having project managed the risk assessment of traffic management, evacuation procedures, excursion policies and bomb awareness across three TAFE campuses. As lead facilitator in our 18 month safety leadership intervention on the Sydney Water-sponsored Bluewater Desalination Project, which concluded in September 2009, Bruce was the most often requested facilitator and on-the-job coach, and was instrumental in the significant success of this assignment. Bruce’s qualifications include a Bachelor of Science and Masters in Education, Diploma in Work Health and Safety, a Diploma in Training and Assessment and a Graduate Diploma in Conflict Resolution. Ian brings 25 years of experience and a passion for learning and development to his role as a senior consultant and facilitator across the 3 divisions of Learning Dimensions Network. Having previously held senior roles in learning and development and safety across global organisations, Ian is a self-starter who is able to influence, drive change and communicate effectively with all stakeholders. Ian prides himself on his ability to listen to a client’s need, formulate and deliver engaging and effective solutions which are consistent with an organisation’s values, strategies and objectives. Ian is well regarded by clients for his breadth of experience combined with his engaging delivery style which provides him with the credibility and expertise to work with both senior and front line leaders. He holds a Diploma of Management, Diploma of Business and a Certificate IV in Building and Construction. Pete has worked across a diverse range of industries, both locally and internationally. His business and training experience is immediately recognised by participants, and his flexible and engaging facilitation style enlightens, challenges and encourages participants to move beyond their comfort zone and achieve what’s ‘truly possible’. Pete has a solid background in leadership and team development, cultural transformation and alignment, experiential learning and team coaching. At an organisational level, Pete has worked with both leadership and functional teams to create alignment, commitment and performance. This is evidenced by his three year role with the ANZ Cultural Breakout program, as well as through running numerous team off-site conferences for many blue chip organisations, and through being a key component of the BMA Foundations of Leadership program, spanning six years, 70 sessions and over 1500 participants. Pete is a great example of a facilitator delivering to an organisation’s specific needs, and designing effective interactions that include the appropriate blend of learning methodologies to suit an audience. These can range from experiential learning activities through to strategy, transformational leadership, emotional intelligence, relationship and communication skill development. Paulien first joined Safety Dimensions in 2008 and is a dynamic facilitator who is able to captivate her audience and create ownership and interest in OHS behavioural and cultural change. She has had significant achievement in the design, development and implementation of leadership development and cultural change strategies and interventions. Paulien is noted for her innovative approach to her work, her ability to establish and maintain relationships with people, her high energy, passion, enthusiasm and delightful sense of humour and fun. She has had the opportunity to work both nationally and internationally with organisations to develop strategies t0 meet the challenges of the future. Ian is known globally for his high energy and captivating style. His ability to be flexible in his delivery strategies not only keeps participants engaged and challenged it ensures that learning sticks. With over 25 years of training and coaching expertise allows Ian to relate quickly with groups ranging from mining sites to corporate finance to not for profits. His experience and abilities have led him to become the sole global master facilitator for Rio Tinto, which involves training and accrediting all other leadership facilitators. Ian’s passion for training and coaching sees him travelling globally to work with organisations such as Rio Tinto, BHP, Coca-Cola, Quintiles through to not for profit organisations. Ian holds a Bachelor of Arts (Education), Certificate IV Workplace Training and Assessment, Accredited in DISC and MBTI , Certificate of Professional Coaching and NLP Practitioner. He is also an author in presenting and facilitating skills and best-selling author in human development. Influential in workforce development for more than 15 years, Tania has transformed teams and organisations in her capacity as Master Corporate Trainer, Learning Architect, Communication Specialist and Executive Coach. Michael is the lead designer for the Leadership Dimensions stress and resilience suite of programs. 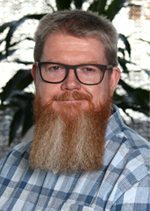 As one of Australia’s most well respected subject matter experts in implementing peer-based programs to support managing stress in high risk industries, Michael has also lectured at international critical incident stress management conferences, in addition to consulting to various companies in areas of health, safety and wellbeing. Susi has a Masters in Organisational Psychology and has worked extensively over the last 15 years in the corporate arena. Her areas of expertise include culture change, diagnostics, leadership development, mentoring programs and behavioural safety. Her great combination of analysis and delivery has been utilised by many large Australian companies, from retail to banking to mining. Susi facilitates in an inclusive style that ensures participants have a positive and engaging learning experience. Peter has earned a reputation for rapidly transforming his memorable insights and practical ideas into bottom line results. Over nearly two decades, Peter has inspired participants through his captivating and motivational training, facilitation and coaching skills. His focus is on improving the performance and effectiveness of individuals, groups and organisations through personalised coaching and mentoring.Peter has been working in the safety leadership industry with Leadership Dimensions and our parent company Learning Dimensions Network since 2004 and has had the privilege of being guest speaker at Stanford University’s Centre for Teaching and Learning, as well as being a proud published author of two books. He is currently writing his third. Ron has been a long standing, valued member of the Safety Dimensions team since our inception. He is an accomplished facilitator with over 20 years of experience working with a diverse range of clients in various contexts, both in Australia and abroad. Ron’s expertise includes strategic planning, change management, community dialogue, organisational learning, leadership and team building, and conflict resolution.Ron regularly receives rave reviews from his clients, where he has been applauded in allowing them the space to explore issues and content, whilst ensuring the process and environment are conducive to achieving their goals.Ron’s diverse and extensive list of diplomas and accreditations include nine years as Executive Director of the Tourism Training Council of WA, Bachelor of Business from Victoria University, Graduate Diploma (Bus.) from Curtin University and a Diploma in Frontline Management, to name but a few. Sandi has a unique ability to connect with, engage and enthuse her entire audience, irrespective of size, demographic or skill level. Exceptional communication and interpersonal skills, and leading-edge educational and learning technologies enable Sandi to inspire people to incorporate new behaviours and attitudes in their daily lives.For more than 25 years, Sandi has worked with hundreds of organisations and thousands of people. Drawing on her training and management background, and with a provocative (rather than prescriptive) style, Sandi helps people learn, rather than merely tell them what to do.Both clients and peers regard Sandi as one of Australia’s most dynamic, engaging and authentic presenters. Her forte is the delivery of interactive keynote addresses and seminar facilitation for medium to large groups. Sandi is also highly skilled in the areas of needs analysis, program design and development, customisation for individual clients and post-program coaching to ensure application of new skills and behaviours in the workplace. Robert is a certified Generalist OHS Practitioner with experience in Private and Government (State & Federal) organisations covering the telecommunications, manufacturing, construction, facilities management and transport industries. He has significant experience in Health, Safety and Environment (HSE) and Training environments with exposure to Australian State and Federal WHS legislation, Standards and Codes of Practice. Robert is a qualified trainer/facilitator, WHS Auditor and Return to Work Coordinator. His contributions have enhanced WHS awareness in employees, increased skills and knowledge at all levels, lowered injury statistics and contributed to the development of a safer work culture often in difficult and high risk environments. Paul is a sought after facilitator who brings over 20 years experience to the programs he delivers. He is a registered psychologist and highly skilled in the roles of business and leadership coach, organisational change consultant and motivational speaker. Paul has worked with a large number of organisations and franchise groups, providing integral strategies for successful operations during times of high growth and change.Paul’s years of experience and his in depth understanding of the human psyche combine to create a powerful dose of motivation, thus developing people’s confidence and achievement of goals. Paul has been working with Learning Dimensions Network for over 13 years and is often requested for his desire and ability to create sustainable change. Jenny brings tremendous energy, passion and focus to the projects she undertakes. She has an ability to instil enthusiasm into individuals and organisations, resulting in heightened commitment to the pursuit and attainment of their goals. Jenny combines her 15 years experience as an organisational psychologist and leadership coach with her extensive experience in psychometric assessment, succession planning, training and development.Jenny has a strong ability to tailor her facilitation, creating a tremendous impact on organisations’ and individuals’ target issues. Much of Jenny’s recent work has been with two of Australia’s biggest financial service institutions, where she has assessed, created development plans for and coached individuals. Jenny is an accredited Genos EI facilitator and coach, a registered psychologist and a valued member of the Leadership Dimensions team.